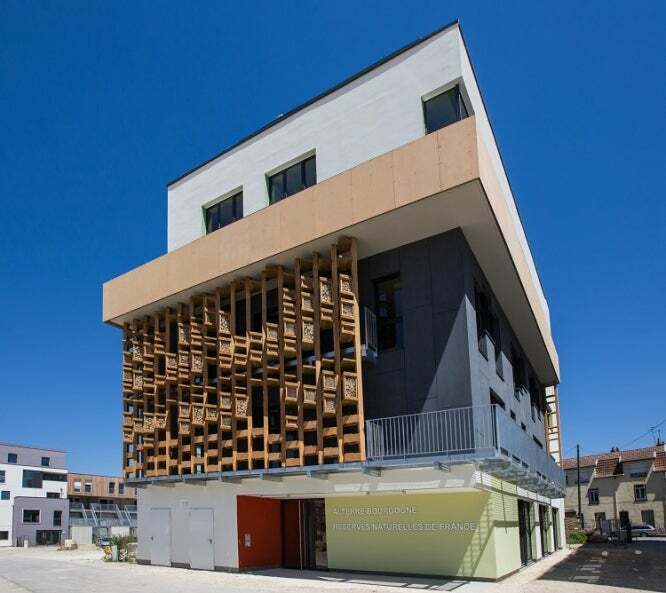 A giant ‘insect hotel’ has been set up on the side of a new office for environmental groups in Dijon. 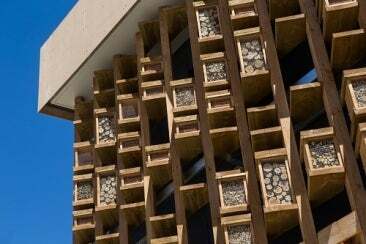 The giant six-metre tall wood and clay structure has more than 60 wooden boxes lined with staves, drilled logs and clay panels to shelter pollinators like bees, butterflies and beetles. It is set in an eco-quarter. Architect Pierre-Arnaud Marin, of Atelier CALC, said: “This is the perfect site: there are no cars and no pollution. However, it will be two years before the insects move in as the eco-quarter is still being built. Other tenants include Alterre Bourgogne and Réserves Naturelles de France. The latter will carry out scientific work and teaching to schools as the boxes can be accessed from inside the offices.